The regions around the capital are subject to great variations in surroundings, population, ethnic diversity and wealth. Haringey is like a microcosm of all that rolled into one. It really is an area of diversity in every way. 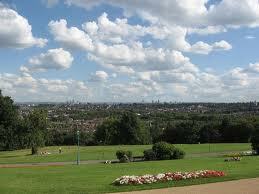 Haringey is also home to Alexandra Palace and one of England’s most famous football clubs, Tottenham Hotspur – often referred to as simply Spurs. But could Haringey be home to something of a culinary revolution, too? Hog roast Haringey? Maybe not, but hog roast Haringey events could be playing a bigger part at events in and around Haringey if the popularity of hog roasts continues. 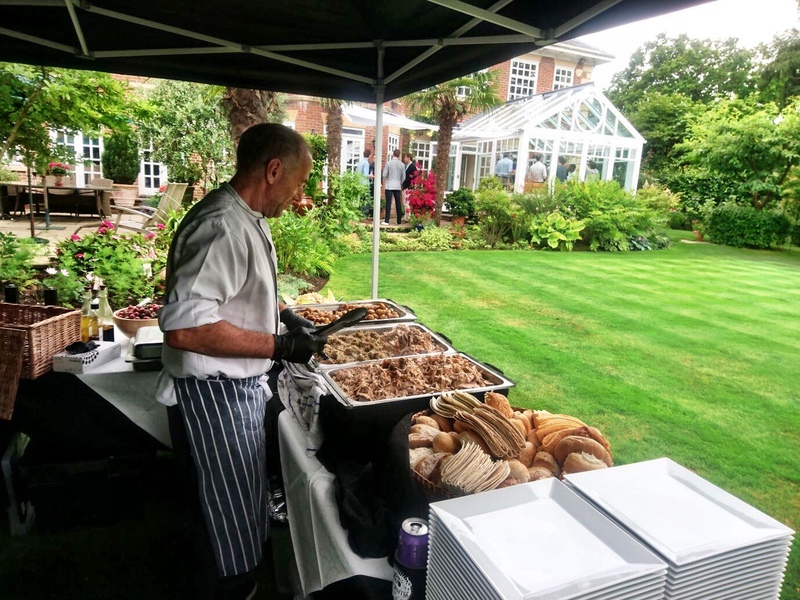 Hog roast has been enjoying something of a rejuvenation in recent years, with many event and party planners using hog roast as their catering food of choice. But why hog roast? Seems a little odd, you may think? Not really. Hog roast was the original event food if you think about it. Go back to medieval times and you’ll find that whenever a great meal was required for a large gathering, hog roast was always a popular choice. Simple really: it tastes great, is relatively simple to cook and it feeds a fair number of people. Back in the present day and hog roast really is not that much different. Only now, it is an affordable solution for both bigger events (such as weddings and corporate/marquee style occasions) and more informal occasions, such as garden parties, charity events, anniversaries and birthdays. Hog roast Haringey events really are a viable proposition. The cooking process is reasonably similar but technology has helped out just a little. Instead of the huge open fire, the hog roast chef can now utilize the very smart and shiny hog roasting machine to get the job done. This is a very fine looking piece of equipment and certainly more practical! The cooking time is still a lengthy process, mind. The average pig takes a long six hours to slowly roast, but I can assure you that this is completely worth it. The pig itself is of course a very important element in the whole process. 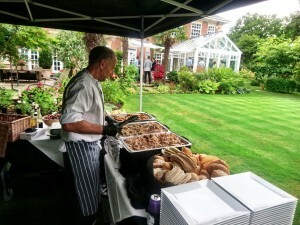 The Haringey hog roast chef chooses only good quality pigs from a reputable source for each and every hog roast they do. Everyone knows that the best quality meat makes for the very best taste and no exceptions are made in this respect. We have catered at many corporate events over the years and have come to expect that corporate customers and their guests take the meal as seriously as work and are meticulous in making sure every aspect of the menu is perfect as this meal could possibly make or break their career. I think they are pleasantly surprised when they experience the dedication and professionalism of our award winning catering team. 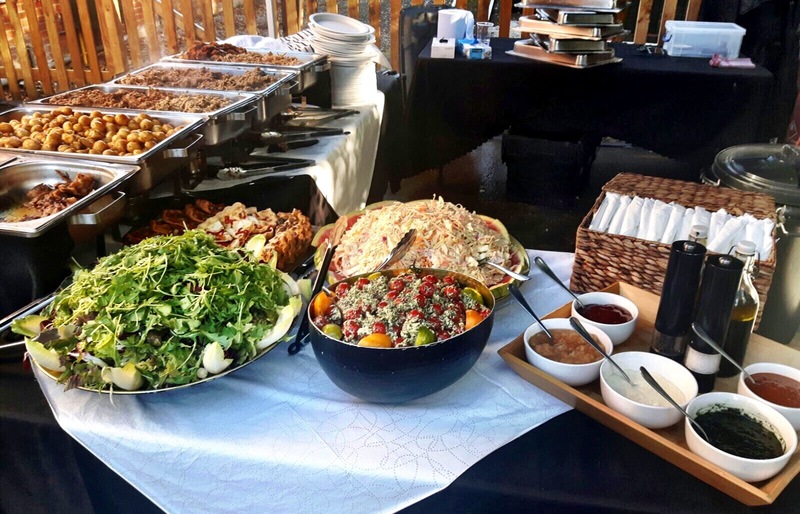 We provided a succulent hog roast on the day and accompanied it with seasonal vegetables and roasted new potatoes in herb butter and watched on as the 20 guests enjoyed the meal. We served teas and coffees after we had collected the empty plates. Do people like the taste of hog roast? Some people – who have never tasted hog roast – may claim that it’s an unusual flavour and a bit of an acquired taste, but this is nonsense. Hog roast is pork, only some of very best pork you are ever likely to taste. The slow roasting means the pork is super tasty and incredibly succulent and the crackling is some of the best you will ever crunch. And because hog roast pork is so versatile, it can form the basis of an informal meal of pork rolls or something far more formal such as a superb carved meat dinner. This is why hog roast is back and it’s why you should make hog roast the meal at your next Haringey event.